10 Cloverfield Lane and J.J. Abrams could change movie franchises. On March 11, Paramount will release 10 Cloverfield Lane, complete with a tagline that’s shown up in all of its marketing material, from posters to billboards to synopses: “Monsters come in many forms.” This slogan can be read as an explanation or an apology, but there’s no doubt about what it’s referring to: Cloverfield, the J.J. Abrams-produced found-footage Godzilla-in-New-York movie from 2008. Cloverfield had a monster, the details of which were gleefully obscured by Abrams and co. in the lead-up to its release; 10 Cloverfield Lane does not feature that same monster, though there is a mystery, the nature of which, as you might suspect, is being kept closely under wraps. But by connecting the two films, Paramount and Bad Robot are making an interesting bet: that in the era of franchise movie-making, the limits of what can become a universe are wider than we might think. Let’s back up. While Abrams’s association with the original Cloverfield tends to be the glitziest thing about it, it was actually directed by his Felicity co-creator Matt Reeves and written by Drew Goddard, formerly of Lost and Alias and now, most notably, the Oscar-nominated screenwriter of The Martian. Following the top-secret run-up to release, Cloverfield turned out to be a modest hit: It made $170 million worldwide on a budget of only $25 million. A year later, District 9, another found-footage event-type movie, this time about aliens, also found success, making $210 million on a budget of $30 million and earning itself a Best Picture nomination. A genre was born. But in the years since, the Cloverfield name had lain dormant. In 2012, Abrams’s production company, Bad Robot, purchased a spec script called The Cellar, written by Josh Campbell and Matt Stuecken. The logline at the time was, “A woman wakes up in a bomb shelter with a mysterious man who says he rescued her from an apocalyptic event,” and Campbell and Stuecken wrote the spec so it could be produced on a bare-bones budget, mostly set in one place: the bomb shelter. Abrams lays it out like this: Originally, the producers brought on a young Damien Chazelle to do a rewrite and make his directing debut. But once Chazelle’s short film Whiplash received funding to be made into a feature film, he left the project as director, with another young first-timer, Dan Trachtenberg, taking his place. At some point around the time of Trachtenberg’s involvement, Bad Robot code-named the project Valencia, after a speech made in the script, and realized there were echoes of the Cloverfield world in the project’s DNA. Reeves and Goddard came on as executive producers, and the whole team went to work making it rhyme with the original Cloverfield. The exact way in which it connected to Cloverfield remained more a part of the meta-narrative than the actual movie—to the point where even the stars were kept in the dark. 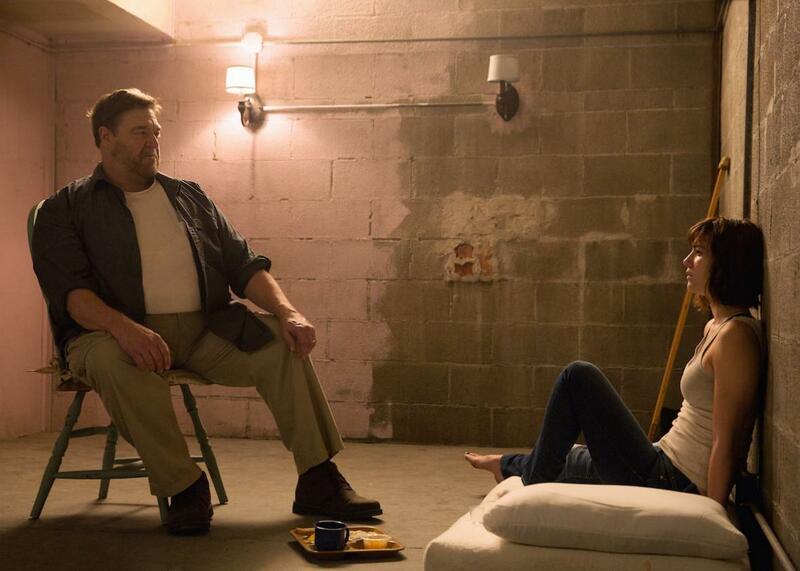 John Goodman told Vulture on Tuesday that he learned that 10 Cloverfield Lane intersected with Cloverfield “about a week ago.” John Gallagher, Jr., said he knew it was related in a distant way, but learned it was explicit about three days before the trailer came out. And Mary Elizabeth Winstead said she’d heard talk of the connections since she signed on, but also didn’t know it was explicit until the trailer. Our current moviegoing landscape tends to encourage, if not require, slavish devotion to the grander narratives of the films being released. Call it the “universe” effect: The comic-book movies, as well as franchises like Transformers and Star Wars and even the upcoming Ghostbusters resurrection, are supposed to intersect and inform each other. None of these stories are evaluated on their own; they become most important for how they fit into the greater puzzle or saga. By making this decision to turn Valencia into a cousin of Cloverfield, if not an explicit sequel, Abrams is running the risk of betraying this expectation. If audiences don’t perceive 10 Cloverfield Lane as being close enough to the original Cloverfield, cries of “cash grab” could abound from fans wanting a true sequel, no matter how good the movie itself is. On the other hand, 10 Cloverfield Lane also presents an opportunity. If it hits—and right now, that looks to be very possible; it’s tracking at a $25-30 million opening, with early reviews positive—it could be the first exhibit in a new approach to franchise- and universe-making that lets stranger, less conventional stories fit in under the big tent that dominates mainstream studio filmmaking. It would also reaffirm Abrams’s place as one of the savviest creative minds in Hollywood, always one step ahead of industry trends and packaging. While it’s unlikely that 10 Cloverfield Lane alone will determine that future, call it the latest case study in branding and selling the modern movie. Additional reporting by Trupti Rami. See also: Found-Footage Movies Are in a Rut. Can the Genre Be Saved?